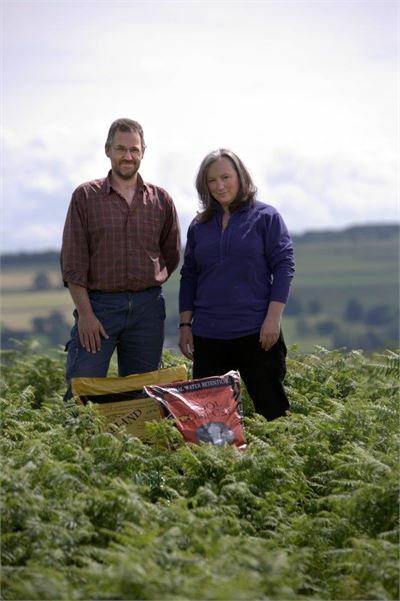 Simon, a fifth generation farmer from the heart of the Lake District and Jane an Environmental Scientist brought their creative thinking together over 18 years ago in their search for diversification. 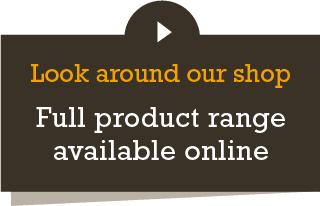 Using old gardening recipes they have worked to develop a range of wholesome composts that are farm-made and do what they promise. 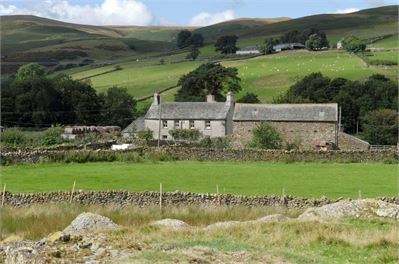 Wool compost™ and Lakeland Gold are farm-made on a traditional hill farm, Dalefoot, in the small valley of Heltondale in the Lake District National Park. Our Whitefaced Woodland and Cheviot sheep flocks run up the bracken covered fells to Loadpot where they live and rear their lambs and graze side by side with our herd of native Fell ponies. Grazing is an important part of maintaining this special landscape that is so treasured by the millions of visitors who come to the area. The ever increasing bracken cover is not only taking over the landscape, but also represents a problem to the hill farmer. The gathering of flocks has become very difficult through waist high bracken stands and this very aggressive plant competes with other native vegetation to the extent that other plants fail and available grazing is reduced. Bracken has become a problem - ecologically and economically - so what better, more sustainable solution than to harvest it in a managed way, thereby husbanding the beautiful hills of the Lake District and utilising a resource in a way that it used to be many years ago. Traditionally, here in the Lake District, bracken has been used as an animal winter bedding material, which was then spread on the land in Spring to fertilise the fields. A rich source of humus with a wide range of trace elements ensured that the meadows and pastures got off to a good growing season. We have taken that age-old recipe and developed Wool Compost and Lakeland Gold. Come and meet us at one of our many shows. We love meeting new people and showing off our compost. Find out where we'll be next.